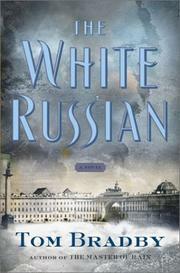 A skillfully plotted and atmospheric thriller set in Russia in 1917, as the currents of revolution swirl about St. Petersburg. Second-novelist Bradby (Master of Rain, 2002), the royal correspondent for a British TV network, opens with what appears to be a simple police procedural when Sandro Ruzsky, chief investigator of the St. Petersburg police, finds a man and woman brutally stabbed on the frozen Neva. Ruzsky initially puzzles over some crime scene footprints that can’t be explained away. Then, as the investigation ensues, he uncovers matters no less complex than the very revolution that’s about to erupt in the streets (capably described by Bradby). Ruzsky links the female stabbing victim to the royal family, who dismissed her for reasons Ruzsky can’t fully apprehend. The other victim was an American, whose motives for being in Russia remain unclear. The matter makes St. Petersburg’s secret police nervous, and when they take the case out of Ruzsky’s hands, he becomes suspicious of their intentions and probes on. He’s tough and, like his cohorts in this genre, a man with tender wounds: guilt over his brother’s drowning, estrangement from his wife and son, an uneasy rapport with his father and with a surviving brother. As well, Ruzsky loves the beautiful ballerina Maria Popova, who, as is revealed in a couple of strong Hitchcock moments, may have betrayed him in matters of love and politics, in the latter case as a militant member of the proletariat plotting to overthrow the Romanovs. Bradby connects what’s happening on the streets, in Ruzsky’s home, and in the halls of the royal family’s country palace in surprising and credible ways, sustaining interest literally down to the last line: this one really isn’t over till it’s over, not till Bradby types The End. Not especially distinctive or memorable in its style or point of view, but, still, consistently engaging and enjoyable.